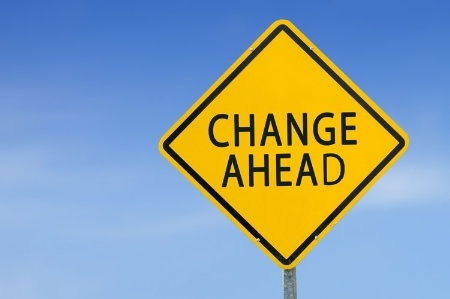 Change… What thoughts and feelings go through your mind when you hear this word? For some, there is a great excitement and anticipation. For many of you there is a deep weight that comes over you and a gnawing in the pit of your stomach as anxiety comes over you when you think about all the implications of that one word. Many of you who now struggle with change, may have at one point been huge change advocates but the unique needs of our children may have rightly left you a bit paralyzed by the word change. This came to the fore front for us when on vacation this winter. My wife usually cuts the boys’ and my hair but during the rush of the holidays, she didn’t have a chance to cut our hair before leaving. She also separated her shoulder so we knew she wouldn’t be able to cut our hair when we got home. This meant finding a barber in a new area. I looked up reviews of local barbers and found someone who would be close and had good reviews. The morning came to go get haircuts. I knew that my youngest son was very particular about how his hair was cut and would never let Sarah do anything different. Somehow, it didn’t occur to me how difficult it would be for him to have someone else cut his hair. When we shared the plan with him that morning, he was on the verge of tears. We were able to eventually talk him through it and I was able to get the exact measurements that we cut his hair at home. With those reassurances, we were off to get his hair cut. Upon arriving, his older brother went first so he would know what to expect and have assurance that the person did a good job. He watched and when it was his turn, he got right in the chair without a problem. Now, he barely said a peep when the woman talked with him, but he did it! Change can be hard for our little ones and strike fear in the core of our hearts but some change can also be good and even necessary. There was no way Sarah could cut our hair and she needs to take a break for her arm to heal. This was a necessary solution to help take one of the many things off her plate that she is trying to balance. While it was a challenge for our son, it was also good for him. It was not so far outside his comfort zone that it would scar him if done correctly. Instead, it stretched him and was an area of growth. Before talking with your child about the upcoming change, come up with a plan. Try to anticipate what fears and concerns your child may have. Is there a physical item that might help them with the change such as a weighted blanket or noise canceling headphones? Move forward and encourage frequently along the way. Despite our fears, change can be a good thing and even necessary. What are some things that you do to help equip your child for an upcoming change? Many changes are unexpected and we don’t have the luxury to always prepare our children for them the way we want to. Next time we will look at coping with those unexpected changes. You can find that article here.